I'm relatively new to Colorado, but would love to get into winter sports more. My question is, I enjoy hiking both flat and relatively steep trails in the snow. Which option would be a better fit: cross country skis or snowshoes? I am willing to take the time to learn what I need to, so I don't want to go with the "easier to use at first" option. Note: I often hike trails with little snow at first (0-3 inches) but then end up in places that can be 3-4 ft deep in some areas. Right now I am just walking through it as much as possible. But obviously I would like a better faster way to trivial even with a 10-12 lbs pack. I am willing to take the time to learn what I need to, so I don't want to go with the "easier to use at first" option. If you really mean that, then you can't not try skiing. There are many trails in Colorado where it is no easier to go uphill on snowshoes than to go uphill on skis, given even modest technique on skis -- but with even the smallest downward gradient, it's no contest, skis win! Simple physics. Ditto for travelling in the back-country. I agree with njzk2: "Snowshoeing is ridiculously easy [to learn], inexpensive and will take you everywhere." I'd add: it's much easier to sprain or break something on skis than it is on snowshoes. 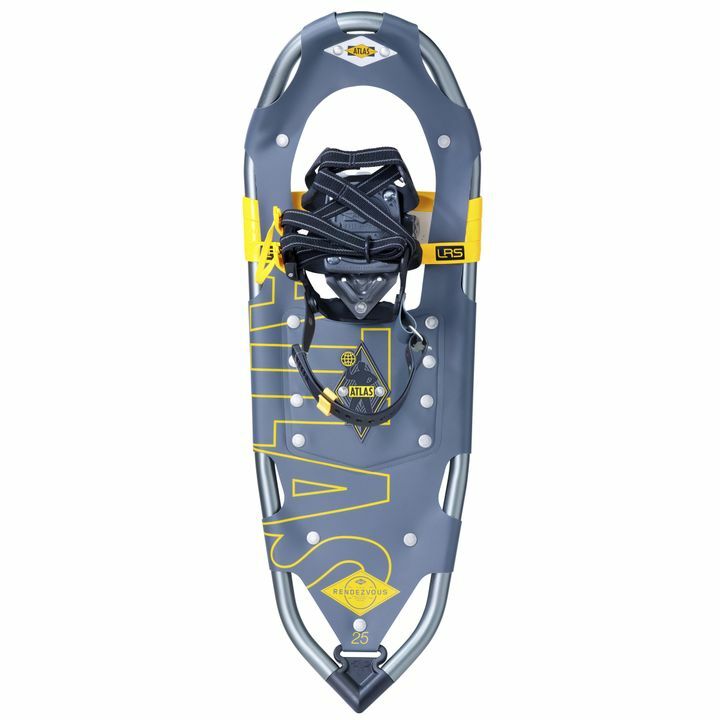 If you want to travel alone in the backcountry or on unfrequented trails, snowshoes are a better choice. But...to live in Colorado and not try skiing? Unthinkable! You might want to consider telemark skiing. Telemark skis have a binding which leaves the heel free. For an unabashedly pro view, see here Also see Wikipedia. But telemark vs alpine skis vs plain old X-country skis should be the subject of another question, if you opt for skiing. If you have no experience with either, then I recommend getting some snowshoes first (I'm not recommending you don't eventually get into everything else as well). 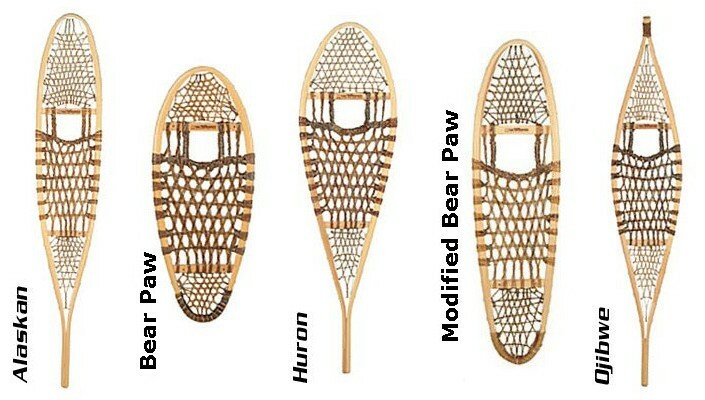 There are many different styles of snowshoes out there, the most popular types on the market are the hiking snowshoes with the crampons, but if you're going cross country on flat terrain, then you want to get a nice pair of traditional gut knit Alaskan snowshoes, as they really float you a lot higher, especially in fluffy snow, and help you cover long distances in a short amount of time. I grew up with Huron style snowshoes, they were terrible at climbing hills or on narrow trails, but whenever I'm in deep deep snow on flat terrain I always wish I had them on my feet instead of my MSR lightning Accents. On hill climbs though it's the other way around, the ascents are hands down the best snowshoe for climbing up steep or icy slopes. I do a little bit of everything, I have multiple pairs of snowshoes, Nordic skis, Alpine touring skis, and just plain crampons for when I'm hiking on hard pack. They're all fun, but show shoeing in mountain snowshoes is undeniably the easiest and cheapest. Snowshoeing is ridiculously easy, will get you everywhere, and is quite cheap. Where I live you can rent them for the entire season for, IIRC, 60$. Cross-country skiiing (off trail, that is) require knowing how to actually ski, and also specific material, like cross-country bindings, possibly shoes (with insert). Not the answer you're looking for? Browse other questions tagged hiking skiing snow cross-country-skiing snowshoeing or ask your own question. What could possibly go wrong in Sarek?